add additional reference points in reliance on the information on the noise behavior in the frequency domain, etc. 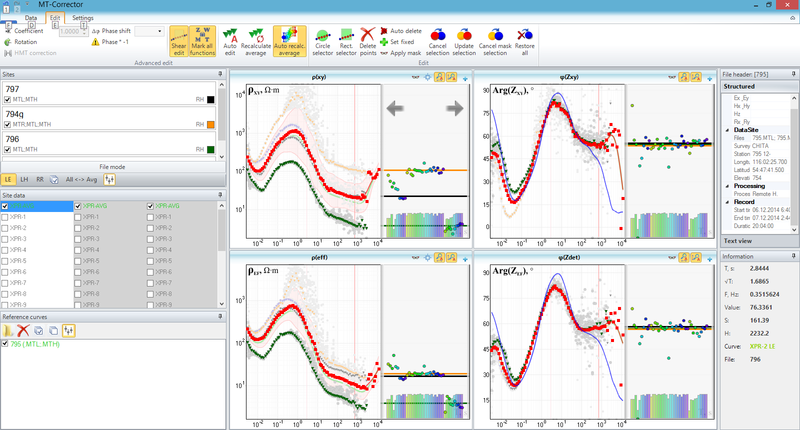 MT-Corrector software is a convenient and friendly tool for the observed MT responses viewing, editing and spline-fitting. 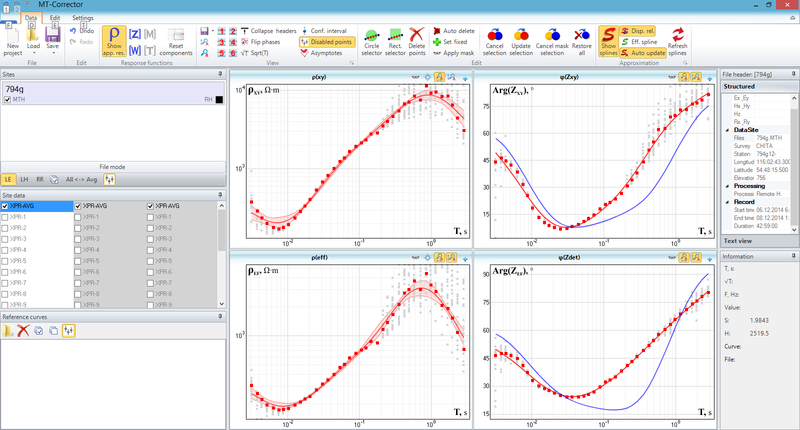 The software has a well-developed GUI with lots of functions and could be an important part of any MT interpretational system. Software has a friendly graphical user interface providing large number of features and capabilities, which allows to rapidly improve the quality of the responses even in case of low-accuracy data.